Fulham have deserved this! 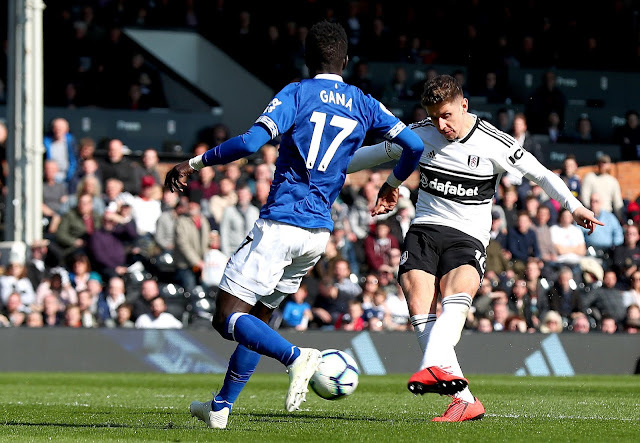 Tom Cairney strikes right at the start of the second half as he is released by Ryan Babel, and the Fulham captain produces a calm finish as he slides the ball past Pickford for his first goal of the season. 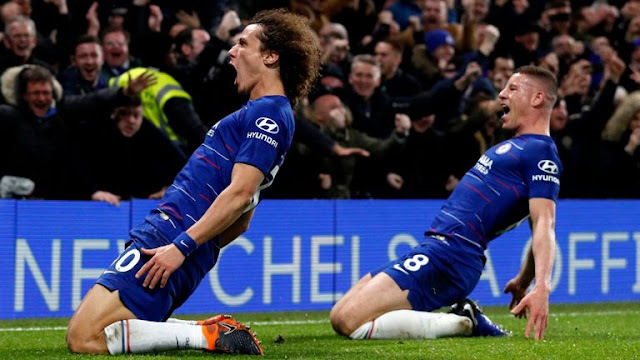 His only other Premier League goal came against Everton nine years ago! That goal came just 30 seconds into the second period. Everton have been so disappointing here, and now in seeking an equaliser, they are dealt the ultimate sucker-punch. It's wonderful hold-up play once more from Mitrovic, who releases Ryan Babel. He does well to cut across Coleman and Gomes meaning they can't challenge him before showing his cool to dink the ball over the onrushing Pickford. No one can argue with this scoreline, Fulham lead by two! Fulham : Rico (6), Bryan (6), Ream (7), Le Marchand (7), Fosu-Mensah (6), Chambers (7), Cairney (7), Anguissa (7), Sessegnon (6), Babel (8), Mitrovic (8). Everton: Pickford (6), Coleman (5), Digne (5), Zouma (5), Jagielka (4), Gueye (5), Gomes (5), Bernard (6), Sigurdsson (4), Richarlison (4), Calvert-Lewin (5). Fulham recorded their first Premier League win in 10 games, having lost each of the previous nine fixtures. All five of Fulham's Premier League victories this season have come at Craven Cottage, with this their first since beating Brighton in January. Everton lost an away Premier League game against newly promoted opposition for the first time since a 1-2 defeat vs Burnley in October 2016 (W3 D4 before today). Everton have won just one of their last 12 Premier League away games in London (D3 L8). Fulham's Tom Cairney scored his first Premier League goal since netting versus Everton in March 2010 for Hull - 3324 days ago. Since his debut in January, Ryan Babel has been involved in more Premier League goals than any other Fulham player (4 goals, 3 assists). In his 103rd appearance in the competition, Ryan Babel both scored and assisted in a Premier League match for the very first time.